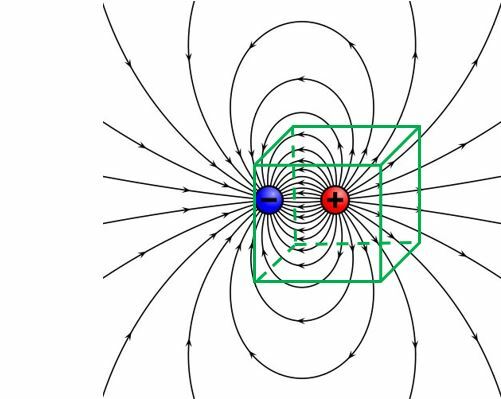 Gauss's law combines the concepts of symmetry and flux to provide a method to relate electic field to configurations of charge. 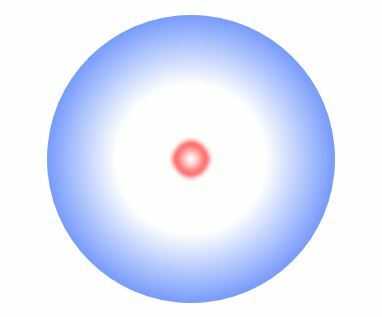 Three fundamental symmetries we will deal with concerning charge configurations are planar, cylindrical and spherical symmetry. Flux typically denotes the flow of something. Electric flux is rather abstract, it helps to relate it to a more common kind of flux. 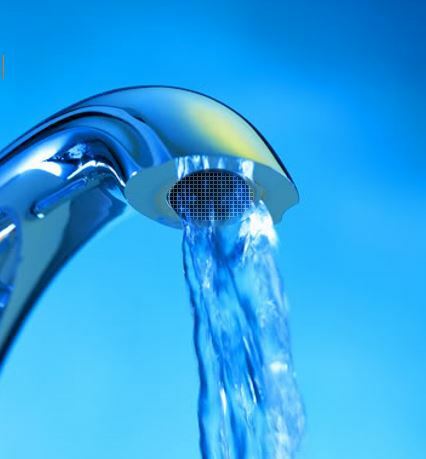 For example, a good analogy is water flowing from a faucet with a screen. The flux of water is just the amount of water flowing through the screen. 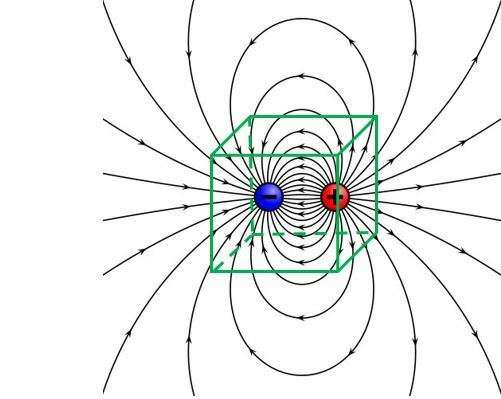 Electric flux is the amount of electric field passing through a surface. There is nothing moving, like with the water analogy, but the field is passing through the surface, just as the water is passing through the screen. To find the amount of electric flux through a surface, we need to define an area vector A as perpendicular to the surface. The magnitude of A is equal to the magnitude of the surface area. The electric flux through a surface is defined as the dot product of the electric field vector with the area vector. The magnitude of A is equal to the magnitude of the surface area. We saw that the electric field vectors of a point charge go as 1/r2 and radiate outward from a point charge. E field vectors of an infinite line of charge go as 1/r and radiate away from the line, and field vectors from an infinite plane of charge are perpendicular to the surface while the magnitude of the field is constant, with no dependance on r. The configuration of the field vectors reflects the symmetry of the charge distribution. A Gaussian surface is a mathematical construct. It is a closed surface that encompasses a space. The area vectors are defined as pointing away from the outer surface. The lines of electric flux passing through a Gaussian surface indicate the charge enclosed by the surface. Consider the Gaussian surface indicated by the green cube, as it relates to the dipole charges shown. 1. What is the charge enclosed by the Gaussian surface? 2. What is the charge enclosed by the Gaussian surface? Gauss's law provides a method for calculating the charge contained in a volume by analyzing the electric field fluxing through the surfaces of the volume. It states that the charge enclosed in a Gaussian volume determines the electric flux through the total surface. This integral is done over a closed surface, the entire Gaussian surface. We can calculate the charge enclosed by a Gaussian surface about a single positive point charge. Here, we have taken advantage of the spherical symmetry to draw a Gaussian surface where the tangent planes to the surface are all parallel to the electric field lines. We let the areas of the tangent planes go to zero for our integral. 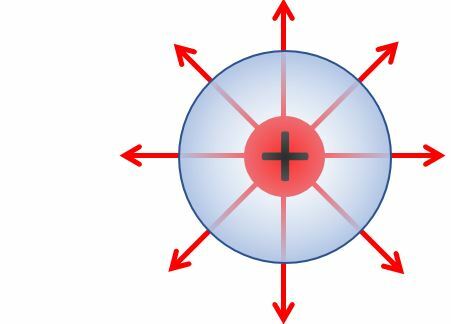 We use Gauss's law to find the charge enclosed for a point charge enclosed by a spherical Gaussian surface, using the E field of a point charge and the surface area of a sphere. This is a very simple case, illustrating a powerful method that can be used for more complicated charge configurations. 2. A point charge of 20 nC is at the center of a cube that measures 3.0 m on each edge. 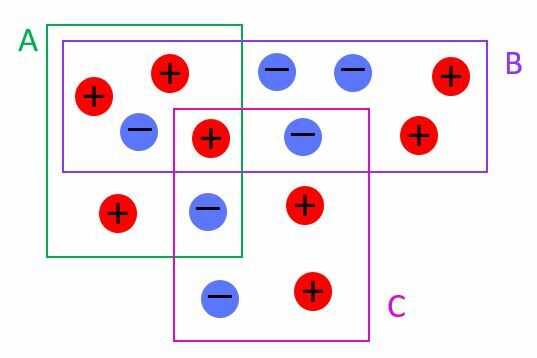 What is the electric flux (in Nm2/C) through the top face of the cube? 3. Which rectangular Gaussian surface has the greatest total flux?